From rainbow undercuts, to braided up-dos, to pin-up marcel waves, Class 58 really set the tone for their graduation presentation to their theme, Tones. At ARROJO we pride ourselves on thinking outside of the box. In just 4 months at ARROJO Cosmetology School, Barbering Class 2 has really embraced the creative spirit. 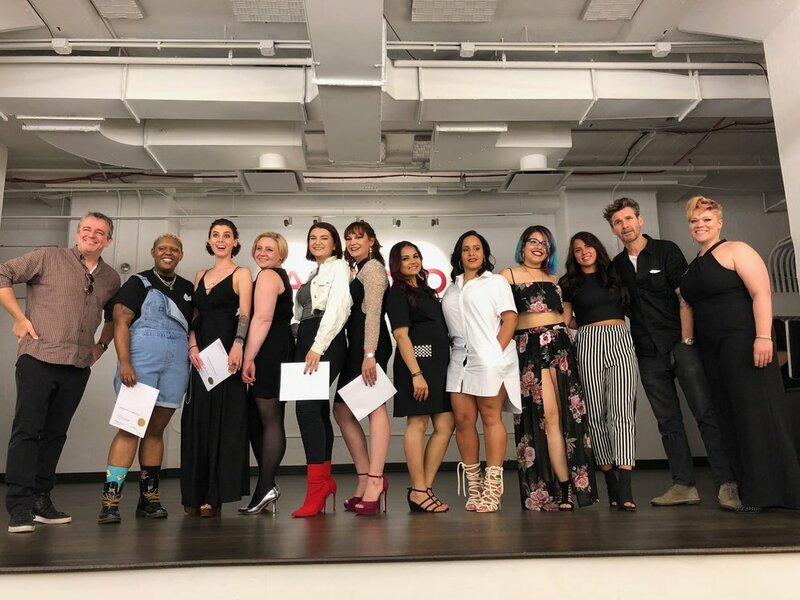 Instead of a traditional video for their graduation presentation, they created an interactive runway show featuring fashion-forward clothing and forward-thinking hair design. Bauhaus was the most influential modernist art school of the 20th century, one whose approach to teaching, and understanding art's relationship to society and technology, had a major impact on the evolution of art and design. Taking inspiration from the Bauhaus movement, ARROJO Cosmetology Class 57 put on a Graduation Presentation where the focus fell on making technique and trend work together to create to design eye-catching styles that work for everyday life. Through the Beauty Changes Lives Foundation, there are ten scholarships available for students to use against the cost of their tuition. Continuing our remarkable heritage in this competition, we are so proud to have produced another winner of this prestigious, nationwide contest. Congrats to Michelle Aquino of Class 60!